« YKACL Youth Groups Valentine’s Skate & Lantern Festival! In Person or Via WEBCAST from home – Vancouver Integrative Physician MD launches SHEN MEDICINE Event Sat February 16 , 2019 and Sun February 17, 2019 . This can be seen either Live WEBCAST at home or IN PERSON at Holiday Inn Vancouver Centre, Cypress Room, 711 West Broadway St Vancouver BC ; Its about messages of illness and how alignment of Body Mind and Spirit is needed for Health. 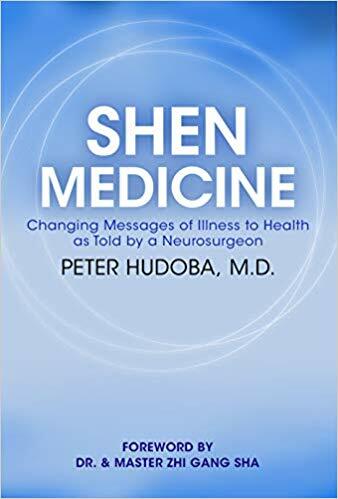 Following is An excerpt from his new book, Shen Medicine: Changing Messages of Illness to Health as Told by a Neurosurgeon, Peter Hudoba, M.D also Researcher & Lecturer, explains how a ‘corrupted message’ can affect our health. “Fundamentally, the message of illness will affect the normal process of flow from soul to heart to mind to energy to matter. The message can corrupt this flow at any step. It can attach itself to the soul and distort the message given to the heart. It can attached itself to the heart and block the awareness of the heart, so that the message from the soul cannot be recognized by the heart and therefore cannot be passed by the heart to the mind. The message of illness can attached itself to the mind, and then the mind cannot properly analyze and make decisions about the original messages to the energy. The message of illness can attach itself to the energy and block how it accepts the message from the mind or how it acts on the matter. Finally, the message of illness can affect how the matter responds to the energy. This is how illness is caused and manifested. Eminently qualified from a medical training perspective, he is able to combine the best therapies of conventional medicine with the best available holistic, natural medicine therapies.